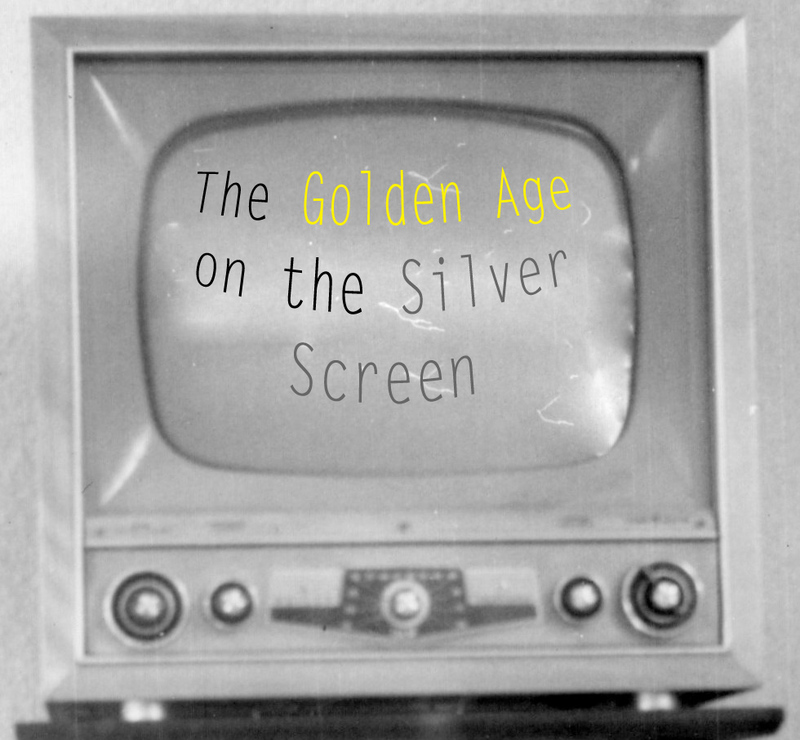 In this week’s installment of The Golden Age on the Silver Screen, and in honor of TCM’s month of Lauren Bacall, we’re going back to 1980 to view the world of Humphrey Bogart as depicted by the makers of television with the biopic Bogie. I have to say that I didn’t find this terrible or even bad. It’s a far cry from Goodbye, Norma Jean or White Hot. I also found it accurate and touching in certain sequences and it wasn’t intent on delving into the psychological reasoning for Bogie’s greatness like last week’s James Dean. Sadly it not only avoids psychology it doesn’t really delve into anything of merit. If you want a strong Cliff Notes editions of Bogart’s life then you can’t do any worse than Bogie (if you hate reading actually biographies this will do) as it’s a cut and dry account of Bogart’s personal life, specifically his two marriages and his eventual death. It’s not great but I felt compelled watching it and wasn’t tearing my hair out, a first in a long time. Humphrey Bogart (Kevin O’Connor) rises to fame after refusing to play the heavy in movies. Along the way he finds himself embroiled in a dark relationship with the alcoholic Mayo Methot (Ann Wedgeworth) before finding his soul mate in the sultry Lauren Bacall (Kathryn Harrold). I applaud this film for being honest about the fact it’s a “dramatization.” Unlike other films in this column it never purports to be the “true story” or a similar phrase to present a lurid depiction of Bogart. In fact the opening credits show it’s based on a book, Bogie written by Joe Hyams. I can’t say anything towards Hyams book as I’ve never read it but in watching these movies so far I’ve only seen one other film mention source material (that was White Hot: The Thelma Todd Story). The lack of any lurid stories to tell is another refreshing element as there’s never a need to prove anything or delve into the psychological reasoning behind Bogie’s greatness. Sure there’s a few instances towards the third act where other characters mention Bogie marrying older women because he hated his mother. Or Bogart himself saying he can’t tell his kids he loves them because his parents never did, but these are few and far between and are never delved into or given the focus of saying “this is the reason for….” like James Dean did. We also have some heavy-hitters behind the scenes. Director Vincent Sherman directed the films Mr. Skeffington with Bette Davis and The Adventures of Don Juan. Screenwriter Daniel Taradash wrote the screenplays for Picnic, From Here to Eternity, and Bell, Book and Candle. Sad that the script is the main failing of this film. That lack of anything deeper does mark Bogie as a shallow biopic afraid to deviate from the path set out to show us why Bogie was such a dynamic actor. The film has a solid point A to B narrative that feels incredibly rushed considering it’s a 90 minute film. The movie opens never establishing a particular time but briefly saying Bogart was married to a woman named Mary and was a struggling actor. Poor Mary is given only one scene before she’s punted from the story. From there the film races to introduce Mayo Methot (we’ll get to her in a second) then into the films themselves. The only way to mark the passage of time are stock photos of actor Kevin O’Connor in generic costumes, that Bogart might have worn in a certain film, with the title of the film and the year. 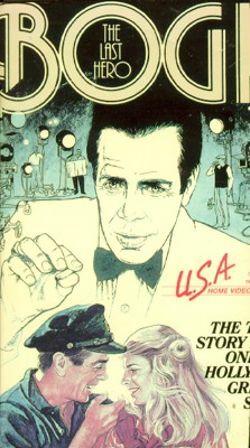 Not only does it point out how bland O’Connor is in the role, he’s not even worth depicting filming these movies, but the movie literally glosses over Casablanca with a simple picture of Bogie dressed in a suit with “As Time Goes By” plays. I know this is a 90 minute movie and you want to focus on his personal life but really, ignore the film that made him a legend? The only element of Bogart’s life, not related to his relationships, that’s discussed during the runtime is the first act’s focus on how Bogart refused to be typecast as a gangster. It’s an element to Bogart as an actor that’s important as he didn’t have the conventional good looks of a “Robert Taylor or a Tyrone Power” as he’s told in the biopic. Yet Bogart transcended and proved the studios wrong which could have been a strong element to focus on throughout the story. Instead Bogart’s acting career grinds to a halt in the film after he marries Lauren Bacall making those stock cards sail through the screen to make time passing. In terms of accuracy I didn’t question any scenes for their authenticity since, even though nothing outside his personal life is focused on, almost everything in Bogart’s life is mentioned including him and Bacall descending on Washington “to raise hell” with HUAC. I originally came down hard on Kevin O’Connor as Bogart but as the film progressed I found him growing on me. I know no one will ever spot-on look like Marilyn Monroe or Humphrey Bogart but this film presents a clear case of how an actor, who might not look like the star in question, can make a role their own. 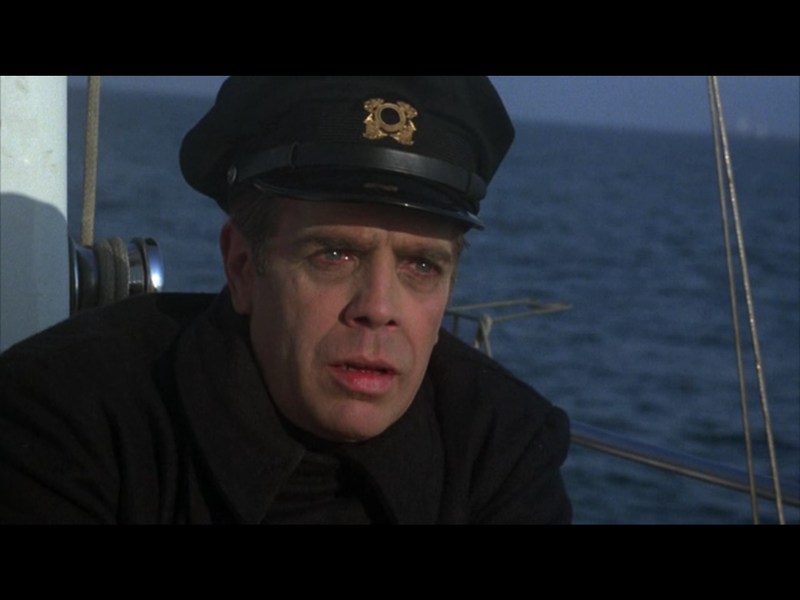 To reiterate: Kevin O’Connor doesn’t look like Bogart 100% but he’s a damn good choice for 1980. He has the hair, the eyes, and he tries his damndest with the voice (that numerous directors say in the first act is so distinctive) but that’s the one failing of his performance. From far away he really sells himself as the character. It does take a painful first act to truly enjoy O’Connor as he sounds perpetually drunk in the first half but that disappears. The film doesn’t present Bogart as a bad man, he’s extremely loyal and returns to Mayo at one point to help her get over her alcoholism. O’Connor has to receive the utmost praise for his relationships with his co-stars. He has strong chemistry with both Ann Wedgeworth and Kathryn Harrold. In his relationship with Mayo the movie discusses the “Battling Bogart’s” and the various reasons for why their marriage failed. These are two people who are hot-headed to the core with them battling, complete with bottles, guns, and knives, and then laughing about their inability to understand why their fighting. The laughter soon turns sour as Mayo becomes increasingly jealous of Bogart’s success and becoming a bigger and bigger drunk. O’Connor and Harrold are also fairly adorable with each other, having a sweet scene where they argue over the need for a larger kitchen. The Bogart/Bacall romance is where the film’s heart truly lies and its small scenes like this that showcase not only the talent of O’Connor but why the relationship between Bogart and Bacall was so special. The last twenty minutes of Bogie focus on Bogart’s decline in health and death. It’s an element I wish the film hadn’t rushed as literally it comes down to the final two minutes and ends. There’s several scenes of O’Connor as Bogart bonding with the child stars playing Steven and Leslie Bogart. 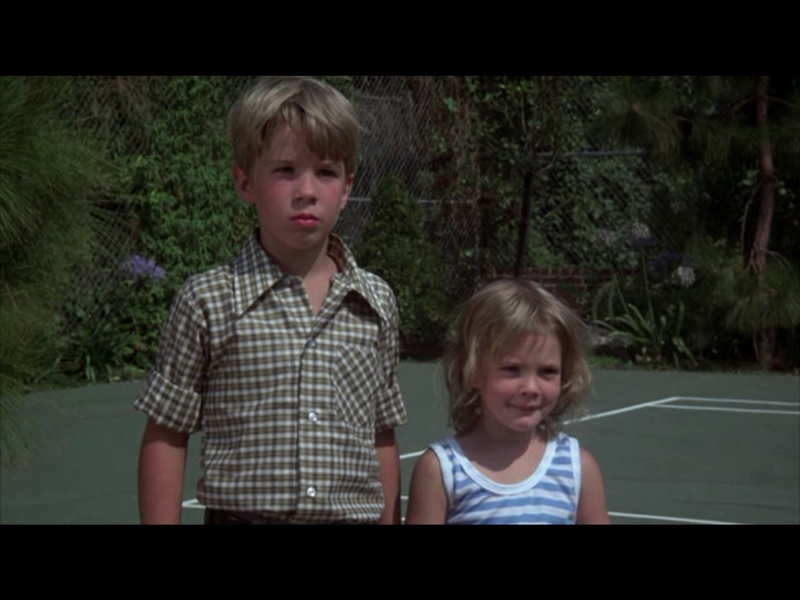 Little Leslie is actually played by a tiny Drew Barrymore! The scenes are truly touching, especially due to the facial expressions of O’Connor. The final minutes present a stark and sad portrait of a man seeing his life come to a close and his final moments of the film, sailing with Steven, is a touching way to end the film…sadly I wished it didn’t end with a tacked-on eulogy about Bogart’s films being timeless considering the movie ignored 98% of his film output. We have to discuss our leading ladies, one who is downright awful and the other not being able to live up to her legendary counterpart. Ann Wedgeworth as Mayo Methot has two modes: over-the-top and hysterical, both of which annoy equally. Her cadence and speech take some getting used to as she talks like a Southern fried sorority girl (and considering Methot was such a bit actor I can’t prove whether any of her performance or look is accurate). Wedgeworth is just annoying, literally shrieking every line! By the time she actually stabs Bogart in the back (which is a true story) I was hoping someone would throw her overboard. I can honestly understand, if this biopic is right, why Bogart wanted a divorce so bad. On the other side is Kathryn Harrold as Lauren “Betty” Bacall! Harrold already has big shoes playing my favorite actress and I have to say she’s purely “meh.” She doesn’t look like Bacall at all and in the scenes of her reading the script for To Have and Have Not she proves how inept she is at understanding what made Bacall so awesome. Keep in mind, Bogart and Bacall had to be separated after filming because their sexual chemistry was so intense. When Harrold as Bacall reads the script, including the legendary “you know how to whistle line,” she plays the character coy with an “aw shucks” attitude. Bacall was confident, not a naïve girl! Harrold does turn on the charm by the end when she tells a girl flirting with Bogie where to go, but that’s not enough to make her anything more than a shadow for O’Connor as Bogie to talk at. Other celebrity appearances include actors playing Leslie Howard and Peter Lorre. Howard I was shocked to find out was in a scene because the actor was so unremarkable and looked nothing like Howard. Mind you I already find Leslie Howard to be unremarkable but if someone hadn’t said in the movie that was him, I’d have assumed he was an extra lucky enough to get a line. The actor playing Peter Lorre is as good as we’ll get but again, his character is so minor he’s not needed. The actors work with what they have and like with James Dean the film is far too short to have an impact. It never goes beyond saying “Bogart had a career and got married” which is a refreshing break from the other lurid stories but leaves the overall film dry. Kevin O’Connor is good but he’s surrounded by actors who don’t seem to understand their roles like Wedgeworth and Harrold. The life of Bogart is a complex one and this biopic is far better than it has any right to be. Right now it stands as a good one, worth watching (and you can via Netflix Watch Instantly). You could do worse than this (I again refer to Goodbye, Norma Jean)! Could ya tell me where to watch this movie, would really like to see it. Your best bet is Netflix if you have it. I watched it courtesy of their Watch Instantly. Hope that helps and thanks for reading! The Bogie movie,was great,and gave us an insight,in to Bogarts,life,with his numerious wives,and his faboulos art.He was a great,actor,and he touched alot of people’s lives.May he rest in peace. !